I liked how different it was from the typical art festival that has rows of tents with individuals selling their wares. I felt like more of a participant than a patron. 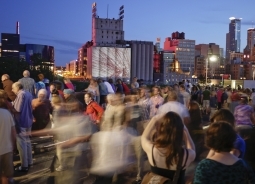 —response to Northern Spark survey (over 500 people participated in person during the festival and online afterwards).